The TwinCAT automation software (total Windows control and automation technology) is a complete automation solution for PC-compatible systems. TwinCAT combines real-time control capability with the largest open worldwide software platform - Microsoft's Windows operating systems. 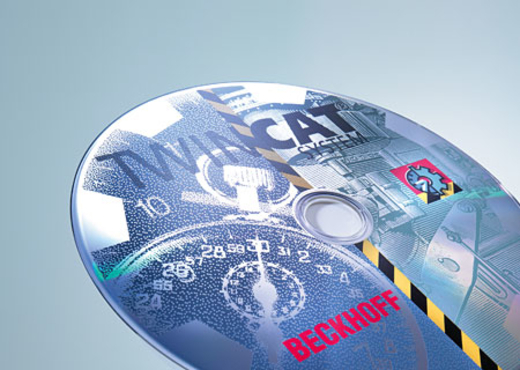 The Beckhoff implementation works without a second operating system through complete integration of real-time tasks within Windows NT/2000/XP/Vista, Windows 7, NT/XP Embedded, CE. It does not require any additional hardware to that of a standard PC, nor does it need a second real-time operating system. Under a high real-time load, it ensures that important tasks are processed by Windows, and that no Windows properties are influenced or restricted. The configuration tool for TwinCAT is the System Manager where connections are organized to all common field-buses and PC interfaces for I/O signals. Any CANopen compatible device can be parameterized and controlled.